The month of February sets the stage for the highly anticipated Navam Perahera, organised by the Gangaramaya Temple. 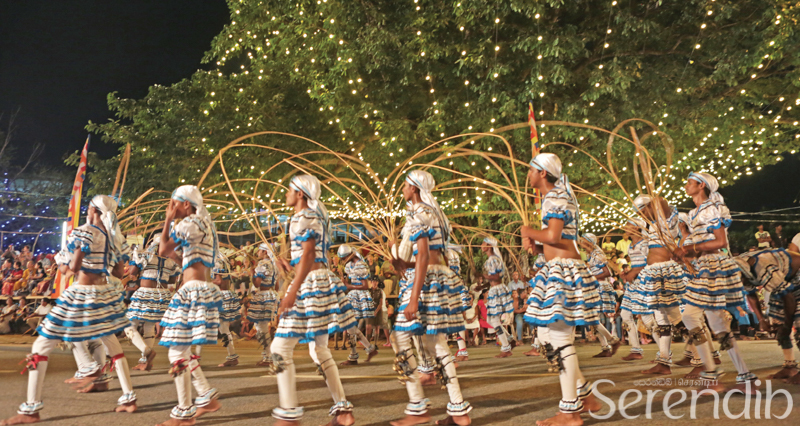 The cracking of the whip and the gleaming circles created by fireballs through the streets of Colombo herald the vibrant pageant. The 134-year old Gangaramaya is one of the oldest temples in Colombo and has become a centre of learning. 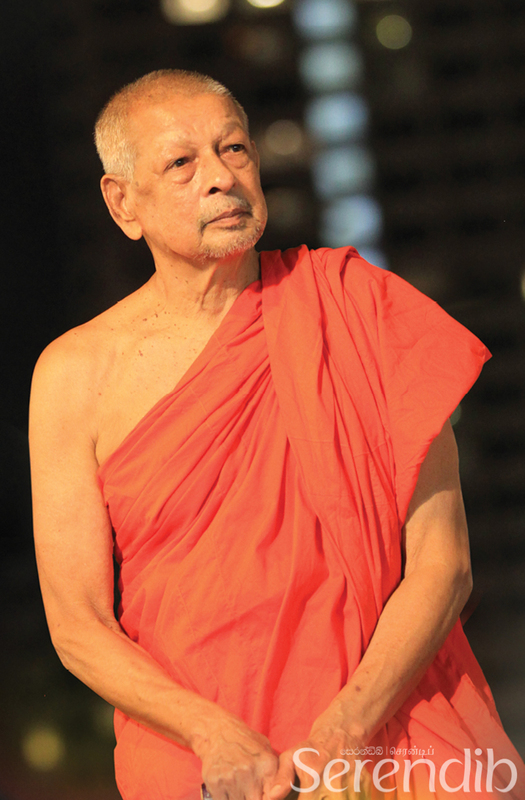 Since the revival of its annual perahera in 1979 by the present Chief Incumbent Venerable Galboda Gnanissara Thero, it has combined culture, religion, traditions and the spirituality of the island nation. In the annals of Buddhism, Navam Full Moon Poya, which falls on the second month of the year, marks the day when the Buddha appointed his two Chief Disciples. 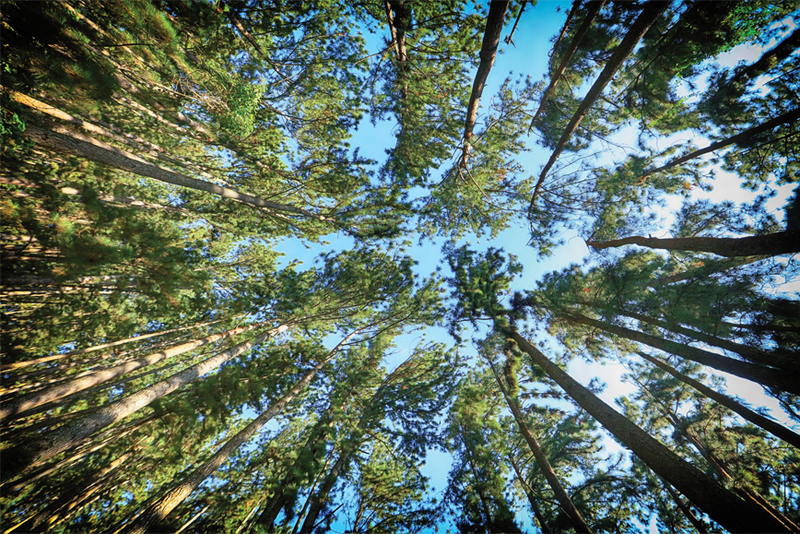 The order of the Sangha descends from Arahants Sariputta and Moggallana, and the Navam Perahera pays homage to the Sangha, which keeps the teachings of the Enlightened One alive. 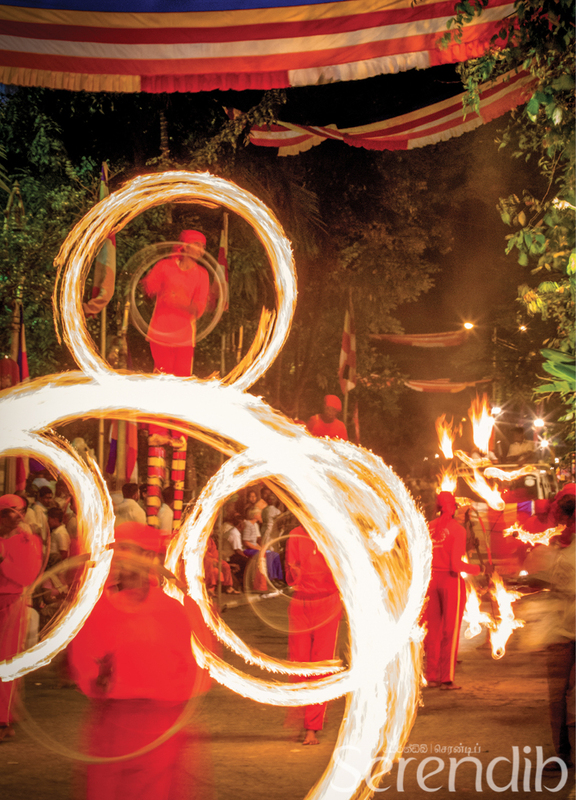 The Navam Perahera is not only a religious event; it also promotes inclusivity, thus opening its doors to devotees from every religion, ethnicity, nationality and all walks of life. More than 3,000 participants and over 50 caparisoned elephants assemble near the Park Street Road while spectators gather along the roads, patiently awaiting the commencement of the pageant. 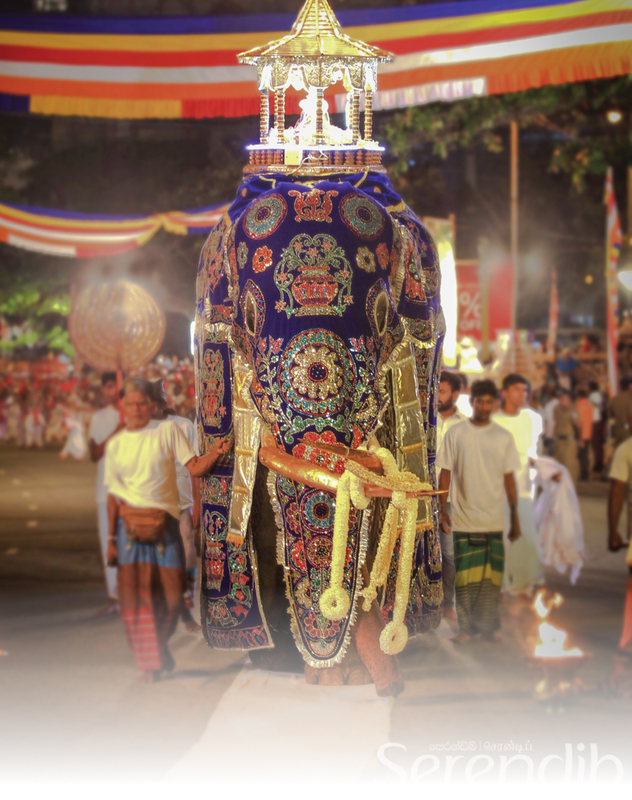 When the golden casket with the sacred relics of the Buddha is placed on the back of the majestically caparisoned tusker, a fire cracker will set off, announcing that the procession has officially commenced. 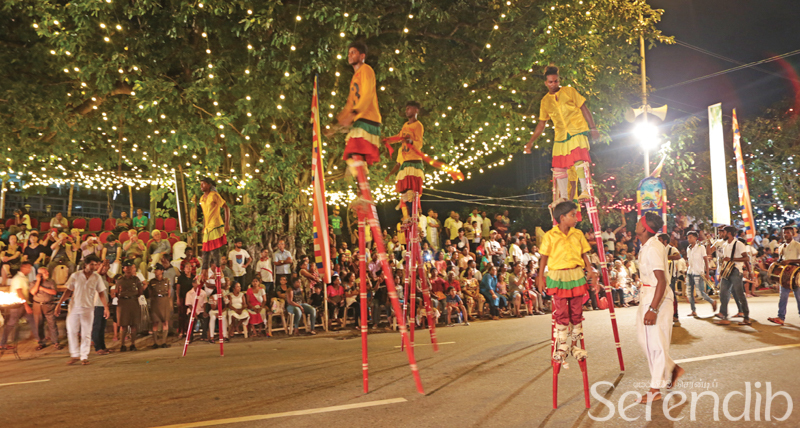 This year, the Navam Perahera will take place on February 18 and 19 from 7pm onwards from Park Street. 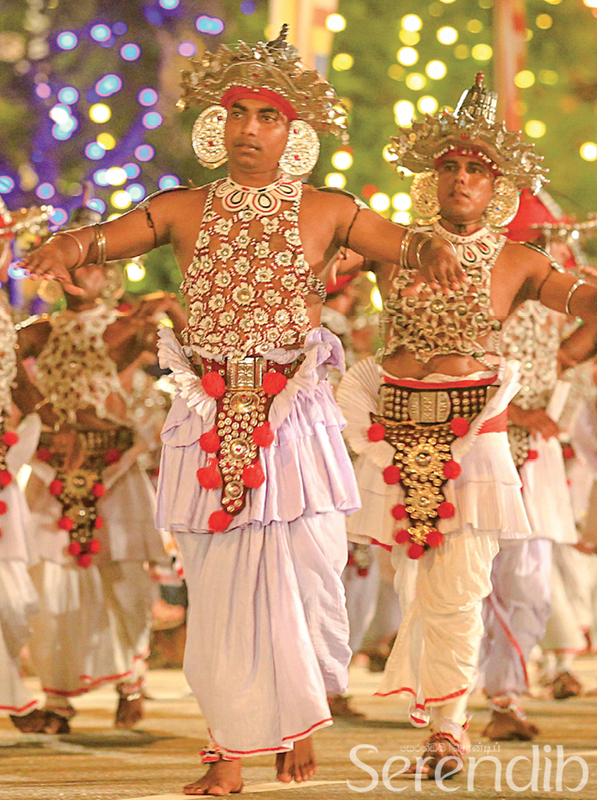 As the procession travels through the streets of Colombo, devotees and spectators will be able to enjoy the grand pageant, comprising of approximately 150 segments of dance troupes and majestic elephants walking rhythmically to the beat of the music. 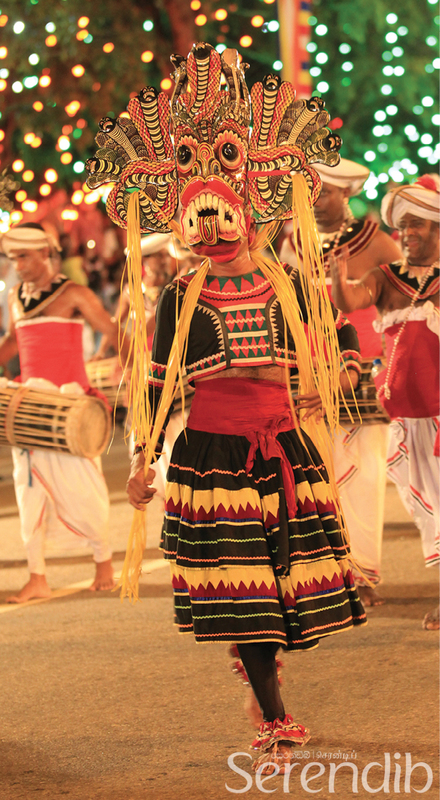 The perahera keeps the traditional arts and traditions of the country alive with stunning performances by the hewisi troupe, the pantheru dancers, udekki drummers, the Ves dancers as well as Sabaragamuwa and low country performers. 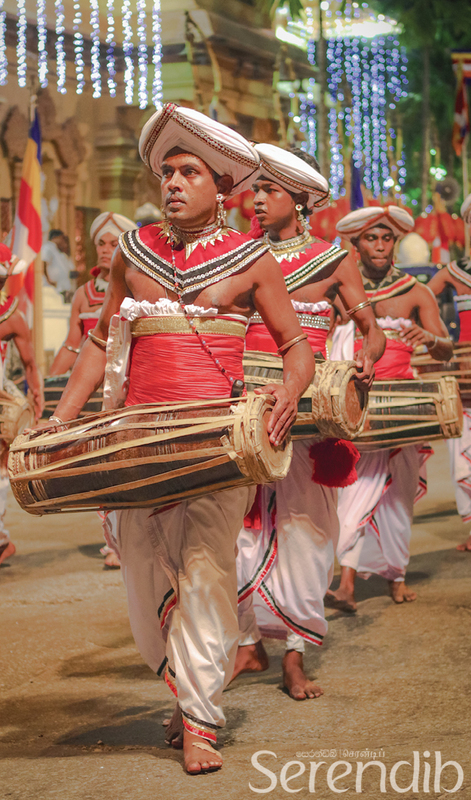 The dancing and drumming slowly give way to the elephants and people begin to sense a shift in the ambience. A Buddhist flag proceeds a set of elephants and the hewisi band. The deep sound of the conch shell announce the arrival of the lay guardians of the temple's sacred relics, led by the chief dayake. A sesath and ceremonial spear procession follows behind. As the spectators wait in solemn silence, the majestic tusker makes his way regally, bearing the sacred relics of the Buddha on its howdah. The air begins to fill with the ardent cries of ‘sadhu sadhu' as devotees bring their hands up in worship. 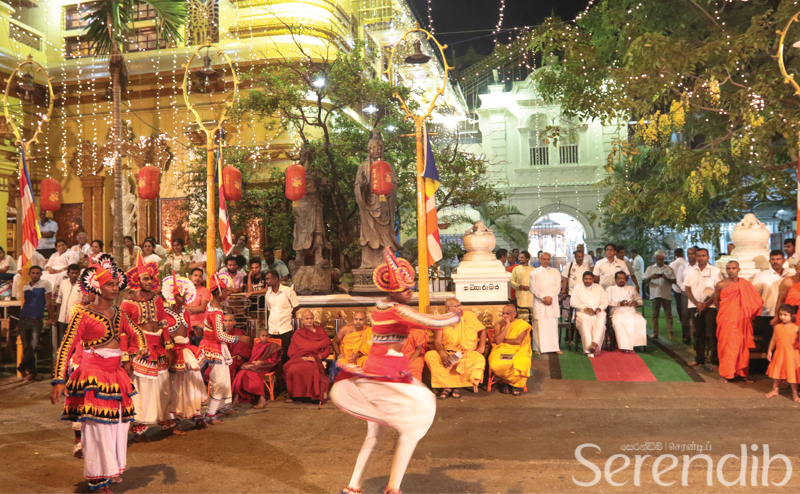 From there, the procession will travel through Sri Jinarathana Road, Hunupitiya Lake Road, W D A Ramanayeke Mawatha, Sir James Pieris Mawatha, Navam Mawatha, Perahera Mawatha, and return to the Gangaramaya premises via Sir James Pieris Mawatha and Sri Jinarathana Road.